In partnership with the Government of the United States of America, NITI Aayog is hosted the eighth annual GES in Hyderabad, India during November 28-30, 2017. 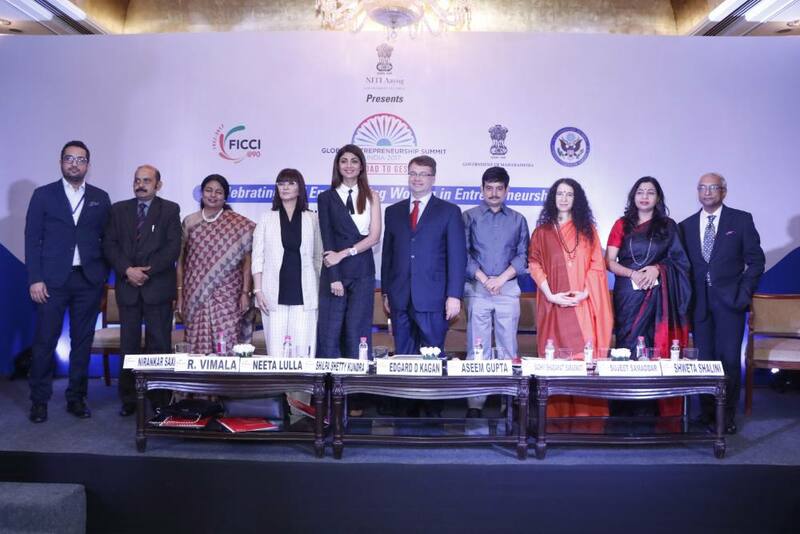 This is the first time GES was hosted in South Asia, and the event highlighted India’s enabling environment for innovation and entrepreneurship – including actions by the government to increase the ease of doing business, eliminating unnecessary regulations, and supporting startups. The theme of the Summit was Women First, Prosperity for All, highlighting the critical role women play in fostering global growth and prosperity. 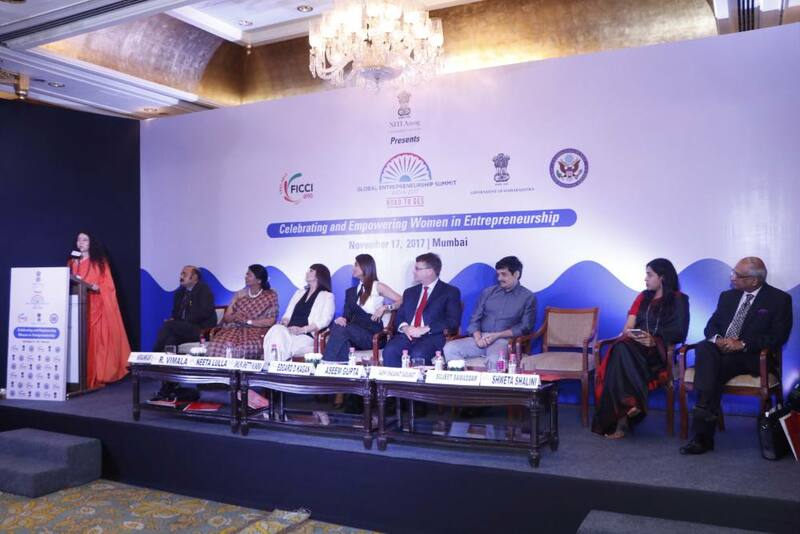 FICCI has actively engaged with the Indian entrepreneurial community for over a decade through numerous innovation, incubation and technology commercialization programs. FICCI has now partnered with NITI Aayog to organize six interactive entrepreneurial events as a part of Road to GES Series. 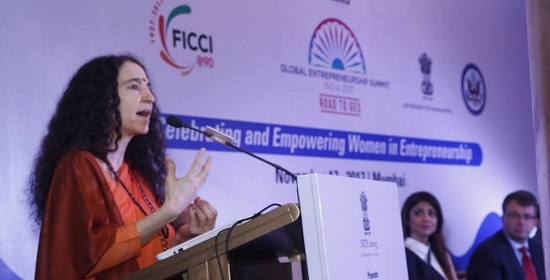 Aligned with the theme of the main summit, all six events had a sharp focus on celebrating and empowering women entrepreneurs. Each of these events provided the entrepreneurs an opportunity to develop valuable people-to-people relationships, interact with industry leaders and pitch their solutions to investors. 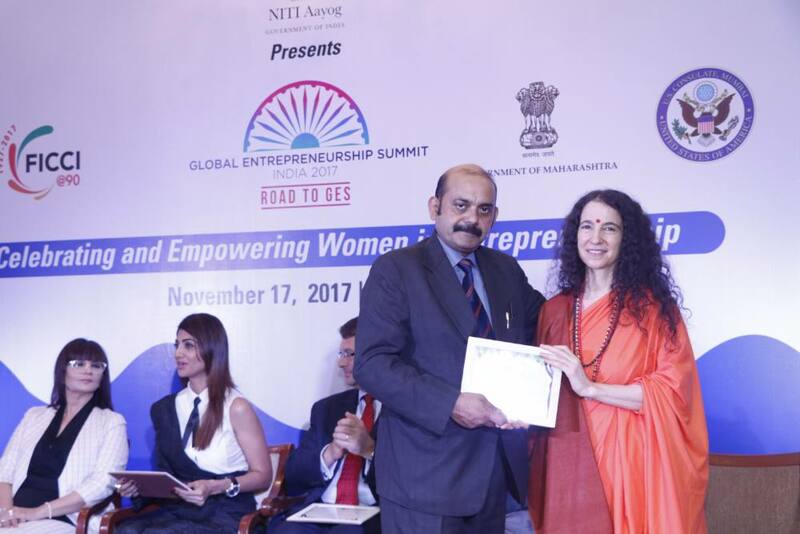 One of the important events in the “Road to GES” series was organized in Mumbai on 17th November, 2017. This momentous gathering gave Sadhviji the opportunity to interact with a dynamic audience consisting of leading young women entrepreneurs. Further, in recognition of her immense contributions in the water and sanitation domain, especially through the WASH program, the Road to GES initiative presented Sadhviji with a small memento on this occasion. 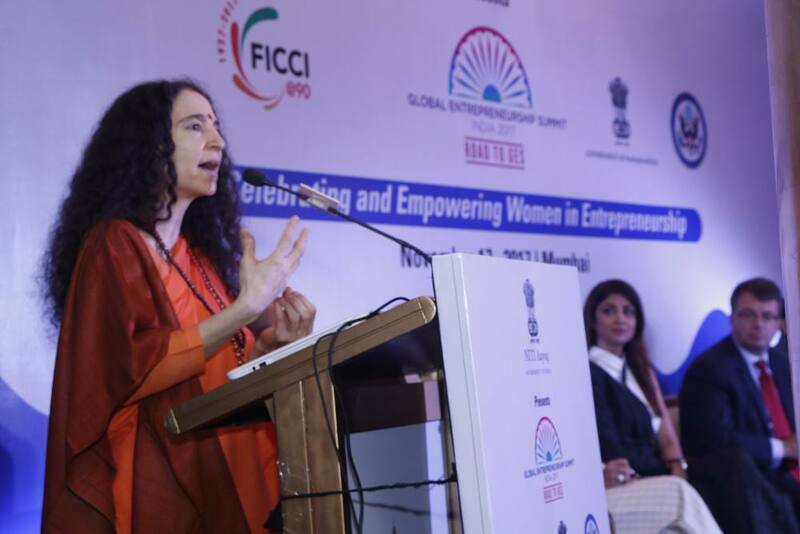 Sadhvi Bhagawatiji gave the keynote address. Her presence and motivating discourse were highly inspirational for the participating innovators and entrepreneurs. 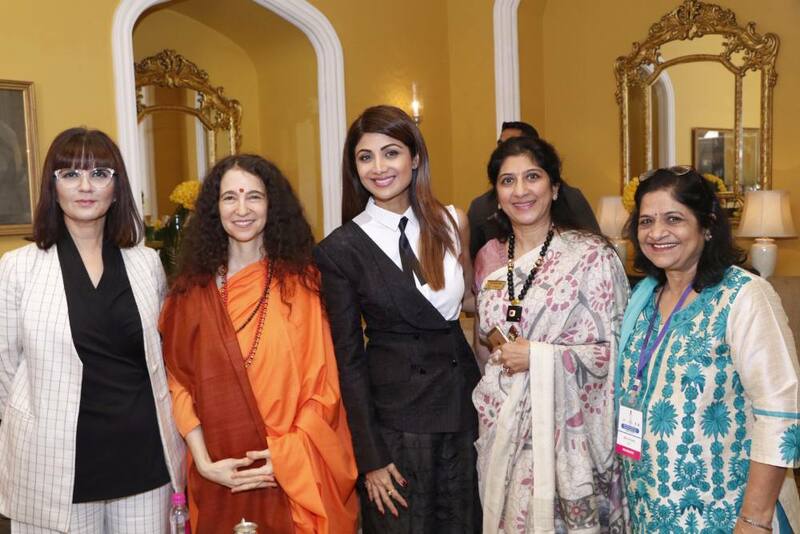 Other speakers at the event included US Consul General Mr. Edgard D. Kagan and actress and entrepreneuer Shilpa Shetty, among many other distinguished guests.